A super simple project to do with your kids. 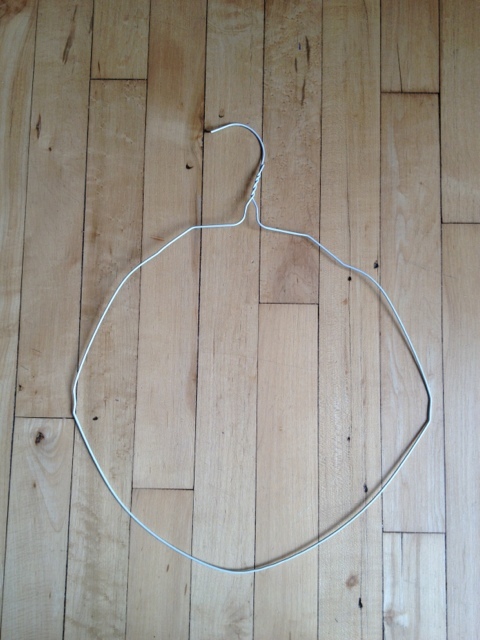 Take the wire hanger and pull it into a circular shape. 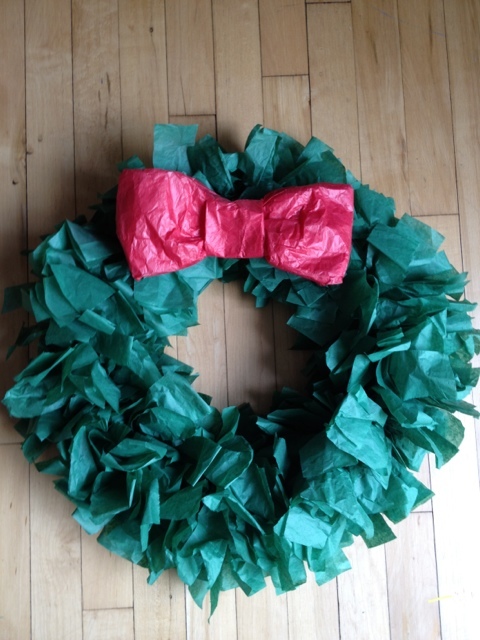 The hook will be used to hang your wreath. Cut strips of tissue paper into 8 inch strips. No need to be completely accurate with this step. Then take each strip and wrap it once around the hanger and twist together. Repeat with all the strips; pushing them close together each time. Go all the way around. Once finished, fluff up the pieces to fill it out and trim any pieces that are too long. 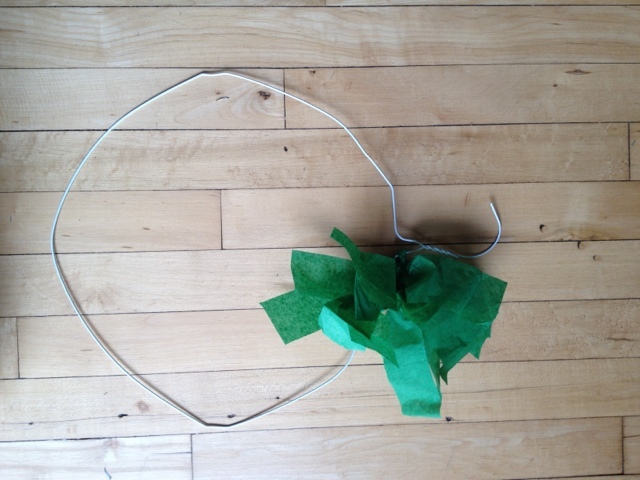 the hanger and then finish it off with a ribbon. 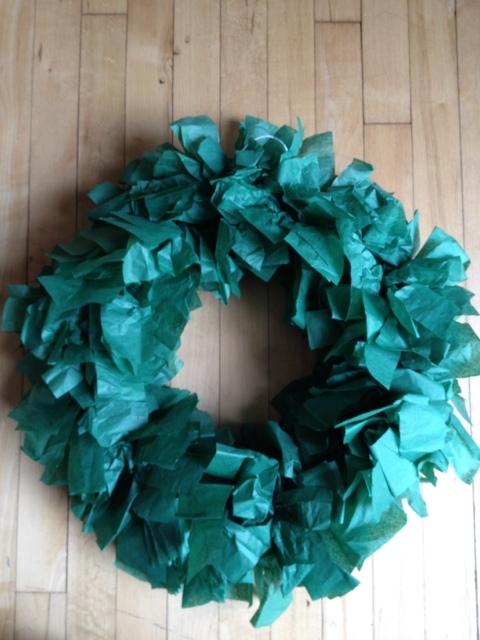 We made one out of tissue paper just to keep with the feel.